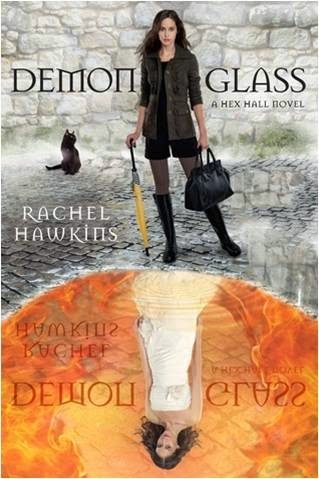 Demon books are apparently best received in combinations of reds, golds, and oranges. These books not only look amazing together, but they also contain fabulous and original worlds full of good and evil magic. 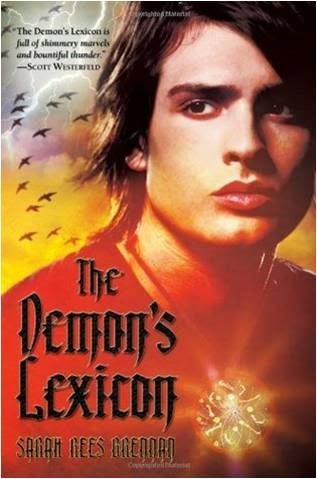 The Demon's Lexicon is my favorite of the books on this list. Nick and Alan have been on the run from a band of magicians their entire lives. These are some bad magicians. They loose demons on unsuspecting humans in order to gain more power for their spells. Just before abandoning their home one more time and moving to London, the brothers meet Mae and her brother Jamie who has been demon-marked. Alan agrees to help them. Nick...well, he'd rather not. Sarah Rees Brennan's novel is full of exciting and surprising twists. The book mostly focuses on Nick, and I found him so difficult to relate to. This is actually a credit to Ms. Brennan and her excellent characterization, as the reader eventual learns. The Girl and the Raven begins as sixteen-year-old Lucy Walker moves in with her uncles after her mother dies. The upstairs neighbors seem especially pushy and overprotective of Lucy. There is something special about her neighbor Marcus, however. Pauline Gruber's novel is one of those books where none of the characters in the know will tell the main character whom they are protecting anything! As a consequence the main character makes all sorts of mistakes that could have been avoided if she had just been clued in. That this was the driving force of the plot was a bit numbing. The story could be a good set up for future sequels especially because with a bit more development some of the issues I had with the first book could be resolved. Review copy from NetGalley. In Demonglass Sophie goes to England with her father for the summer. There she learns more about being a demon. She also (surprise, surprise) gets entangled in a pretty hairy mystery. One that involves some of the most powerful Prodigium. Oh, and there might be a run in or two with Archer, Sophie's crush/nemesis. I really love this series. Sophie has just the right amounts of snark and sincerity. Rachel Hawkins manages to keep the tone light as the plot thickens. Basically, the books are hard to put down. I read this one in two sittings. The only thing I didn't love? That I had to wait for book three. But you, you, can just move on immediately to Spellbound. Kennedy Waters isn't sure what to think when her mother dies and she is approached by twin boys who claim it is her destiny to hunt ghosts, but in a desire for answers about her mother's death, she joins the twins and two other teenagers in the Legion of the Black Dove. As she begins fighting ghosts, she finds herself hoping this is truly her destiny. I was sucked into the world Kami Garcia created; it was the perfect blend of reality and paranormal. Priest, the boy genius, was my favorite character. His personality combined the confidence of a genius with the insecurities of the youngest member of the team, a recipe for charm. 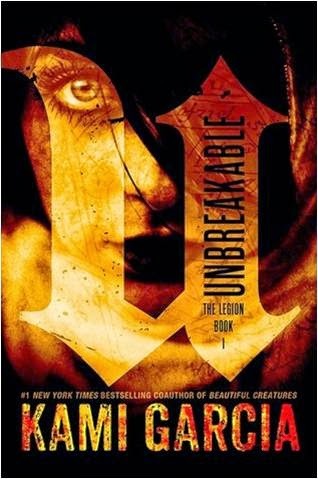 I look forward to reading the next installment in the Legion Series. Cassandra Clare's City of Bones stars Clarissa (Clary) Fray, who, one night, witnesses three teenage hunters slay a demon. The next day Clary's mother is kidnapped by the evil Valentine, demons try to kill her, and she finds herself thrown upon the mercy of the three demon-slayers. 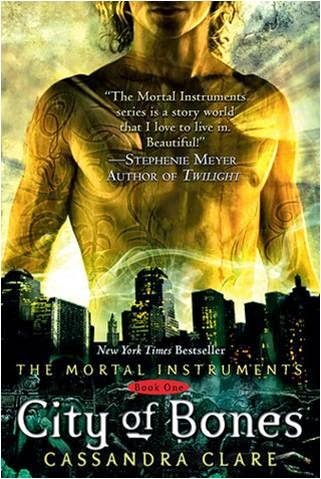 Isabelle, Alec, and Jace are Nephilim, or Shadowhunters. Soon Clary, the three Shadowhunters, and Clary's ordinary friend Simon are frantically searching for Clary's mother and a certain cup that can change ordinary humans into Shadowhunters. I found this book to be pretty entertaining. I did, however, find that many of the plot twists were more predicable than twisty. This book was also made into a movie last year. 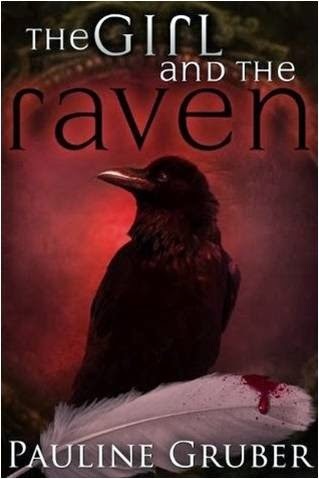 The Demon's Lexicon, The Girl and the Raven, Demonglass, and City of Bones reviewed by JoLee.